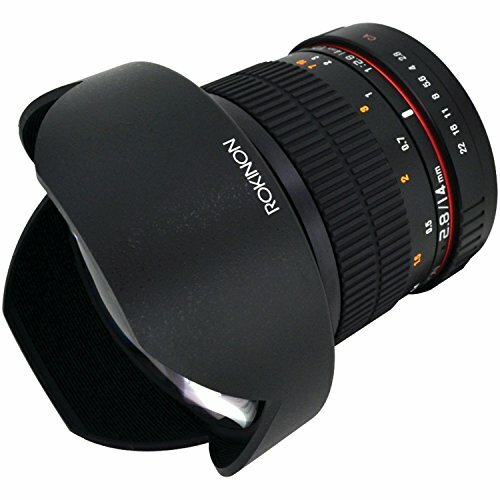 The new Rokinon 14mm ultra-wide angle f 2.8 if ED UMC lens is the highest quality affordably priced 14mm lens on the market. It is designed for full frame cameras and is fully compatible with aps-c cameras as well. Its build and construction are superb the lens construction is 14 elements in 12 groups and features 2 ed lens elements, one hybrid a spherical lens element and one glass a spherical lens element. All of these lens elements combine to minimize distortion and chromatic aberrations. Your pictures are sure to come our razor sharp and clear, even at the corners.